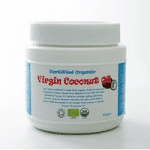 Learn About Fasting With Coconut Oil, Be Amazed With the Benefits. There are many types of detoxifications methods, from straight water fasting and the maple syrup detox to juicing and dry skin brushing. Fasting with coconut oil is another effective way to cleanse the body and give the digestive system ample time to rest. The digestive system is constantly at work pulling out the nutrients from foods, and discarding the rest for excretion. The human body is a wonderful machine. Coconut oil is a medium chain fatty acid. Unlike long chain fatty acids, which require a lot of energy breakdown, the body readily absorbs coconut oil. It is a natural fuel type for the body. We should eat more short and medium chain fatty acids, but most of us have been scared into eating a low fat diet, which is often high in sugar (to add flavour). 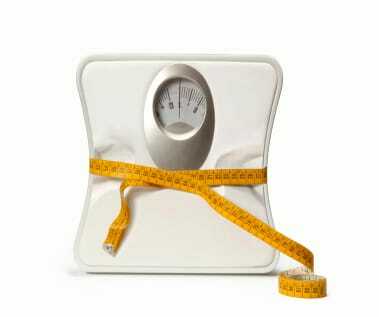 The body relies on fat from foods to protect the internal organs. Yes, fat is calorific (all types of fat), but eating the right types of fat can protect health over the long term. Coconut oil has anti-fungal and anti-viral benefits, which means it will kill bacteria and fungus that may be having a fun time causing havoc in your body. Fasting with coconut oil supplies the body with important calories, whilst giving the digestive system sufficient rest time. I tried a 3-day coconut fast. I experienced sickness after day one, but the following days were a breeze. I ate up to eight teaspoons of organic coconut oil each day. Anyone would think that eating so much saturated fat would lead to a heart attack, as coconut oil looks like lard when hard, but coconut oil can contribute toward weight loss. This is due to the medium chain fatty acid structure of the oil, which converts into energy in the body. As with any new fast, consult your doctor beforehand for advice. If you are new to coconut oil, the extra fat intake may lead to diarrhoea. You may fast for as long as you feel you need to detox the mind and body, but if the hunger pangs or detox symptoms are especially difficult, try a 1-day detox each week until you feel stronger to complete a longer fast with coconut oil.